You probably could feel my excitement over my new toy, MotoActv for the past few months. No more. I am here to announce its passing. It's was one of the good days that I went out riding. Halfway it rained and I headed back to my house which was just about 3km away. MotoActv was exposed to the rain for that distance. The video above is the screen I get every time now when I try to power it up. Apparently there were many reported cases in Motorola Forum. Certainly MotoActv couldn't live up to even mild wet condition. IPX6 is not good enough to make a total outdoor fitness watch. A good device but poor design. I am not talking about swimming or water sports, imagine a marathoner who runs in the rain, or a rider just like me who rides in the rain. Perhaps MotoActv can only be used indoor. Sigh. Anyway, I am not hoping for warranty replacement as many reported in the forum that it's a waste of time. I am now in the market again looking for alternative, Garmin looks promising. You certainly will see a post in Jacko.MY when I get the replacement. For now, MotoActv, rest in peace. You probably looked into it for yourself, but it's worth a try. That looks like the screen used to flash roms onto the thing; if the battery charges, there might be a way to revive it. Have a look here http://motoactv.wikispaces.com/ or the xdadevelopers community. Thanks for the pointer! 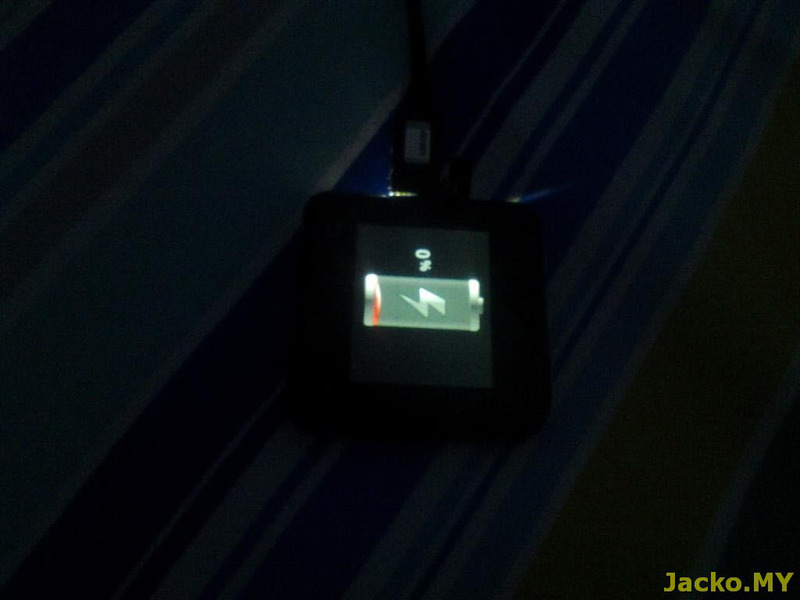 I followed the guide in wikispaces and the device is alive now! But the power button is malfunction. Pressing power button brings up workout screen, which is similar to Start button function. After hard reset still the same. Any clue? Some of the roms have customized button functions for one reason or another, maybe that's why it's behaving erratically. 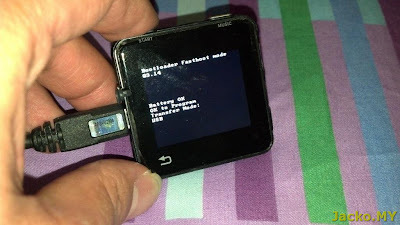 What I would suggest you do is download a the appropriate stock rom (without any modification done to it) for your device from here http://forum.xda-developers.com/showpost.php?p=23338342&postcount=1 and flash that one. I think you might have to do that manually however, and should read up carefully how to use adb (android debug bridge) to do that. If, after flashing the stock rom, the power button still doesn't work properly, maybe there's some hardware damage. Always be sure the battery is full before messing around. I can't put motoactv into fastboot mode using power + vol down buttons since the power button is not working. The only option is RSD Lite. I used RSD Lite 5.7 with stock image. RSD shows "connected" but returns error "the phone failed to switch to fastboot mode" when I tried to flash. I suspect it's due to adb as motoactv not listed when I execute command "adb devices". I'm sorry, but we've reached the limit of my knowledge, you're better off searching in dedicated forums and ask there to people better prepared than I. But, I suspect this means the power button is damaged at the hardware level. Anyhow, best of luck to you, I hope you can get it working properly again. No worries, my hero :) it's a dead junk without your guidance! I will search in XDA and post my question there. I hope it's possible to bring it into fastboot mode, flash and exit and reboot via adb commands without physical buttons involvement. My billion thanks to you!